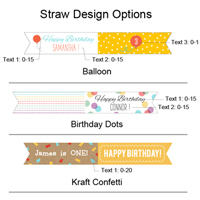 Put the finishing touches on your birthday party decorations with personalized birthday party straw flags available in 5 festive design options. 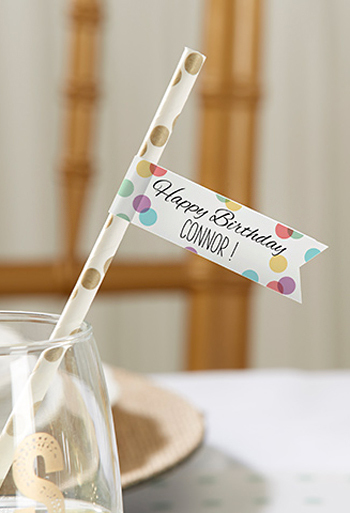 These flags provide a cute, effortless way to spruce up any birthday celebration. 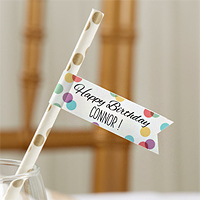 Attach them to toothpicks for snacks, tie them around party favor bags, or wrap them around striped drinking straws for extra pizzazz.